Your day-by-day itinerary now includes Arctic Timetravels, Northern Lights Riders and Reindeer Farm Petri Mattus. Start off your visit on the 11th (Tue): experience rural life at Reindeer Farm Petri Mattus, then join in the after-dark buzz at Arctic Timetravels, then see Northern Lights Riders, and finally get all the equipment you need at Saariselka Ski & Sport Resort. For ratings, reviews, and more tourist information, refer to the Saariselka online road trip planner . Paris, France to Saariselka is an approximately 15-hour flight. You can also drive. You'll lose 1 hour traveling from Paris to Saariselka due to the time zone difference. In December, Saariselka is colder than Paris - with highs of -7°C and lows of -17°C. Finish your sightseeing early on the 11th (Tue) so you can travel to Levi. On the 12th (Wed), ski along the peaceful trails at Levi Ski Resort. Keep things going the next day: don't miss a visit to Snow Village, admire all the interesting features of Ice Karting Levi, then make a trip to LUVATTUMAA - Levi Ice Gallery, and finally gain insight at Kid's Land. To find other places to visit, photos, maps, and tourist information, use the Levi road trip tool . You can do a combination of bus and flight from Saariselka to Levi in 3 hours. Alternatively, you can drive; or take a bus. 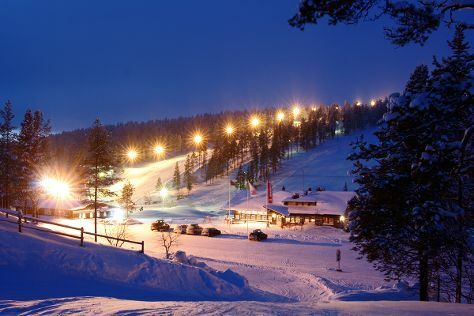 In December in Levi, expect temperatures between -6°C during the day and -15°C at night. 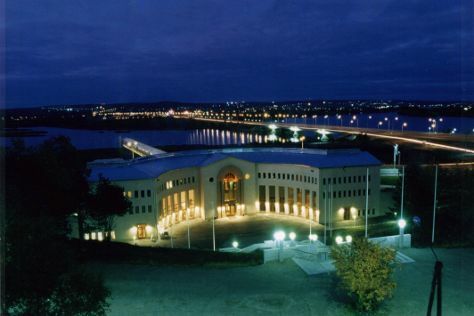 Finish your sightseeing early on the 13th (Thu) to allow enough time to drive to Rovaniemi. On the 14th (Fri), make a trip to Lordi's Square, get engrossed in the history at Arktikum, take in the views from Lumberjack's Candle Bridge, then see Santa Claus Office, and finally find something for the whole family at Santa Claus Village. Keep things going the next day: don't miss a visit to Marttiinin Wanha Tehdas and then get in on the family fun at SantaPark - the Home Cavern of Santa Claus. For more things to do, traveler tips, reviews, and more tourist information, use the Rovaniemi trip itinerary planning tool . You can drive from Levi to Rovaniemi in 2.5 hours. Alternatively, you can take a bus. December in Rovaniemi sees daily highs of -6°C and lows of -13°C at night. Wrap up your sightseeing on the 15th (Sat) early enough to travel back home.